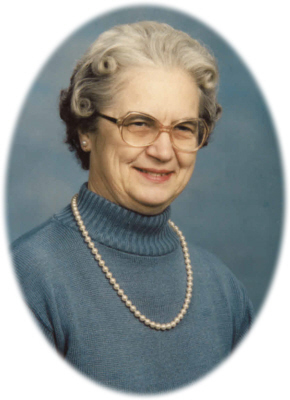 Gloria Whitford age 80, of Elizabethtown, KY, passed away Thursday, October 25, 2018 at Sunrise Manor Nursing Home in Hodgenville, KY.
Gloria was a Kentucky Colonel and a member of College Heights UMC, Woman's Club of E'Town and United Methodist Women. She participated in the Christian Writer's Conference and Greenspace and volunteered many years playing piano and helping people celebrate their birthdays at Signature Healthcare and Kensington Manor nursing homes on a weekly basis. She lived in Ashley, MI and Lansing, MI before moving to Elizabethtown, KY.
Born to John Earl Densmore and Hazel Kerr in Hamilton Township, MI, she was preceded in death by two brothers, Russell and Howard; and two sisters, Joyce and Hilda. She is survived by her husband, Duane Whitford; children, Connie (Bob) Allen, Margaret Weeks, Tina (Mike) Serra, and Maureen Denham; grandchildren, Sean (Donnita) Weeks, Terry (Caprial) Moran, David Woodward, Krista (Matthew) Jenkins, Rachel Serra, Maria Serra, Michael Allen, and Daniel Allen; great grandchildren, Elizabeth and Hannah Jenkins; and several nieces, nephews, brothers-in-law, and sisters-in-law. Visitation will be held at Brown Funeral Home in Elizabethtown, KY on Sunday, October 28, 2018 from 2-6 P.M. She will then be transported to Michigan for Visitation at Smith Family Funeral Homes Ithaca, MI on Friday, November 2, 2018 from 4-8 P.M. A Funeral Service will be held on Saturday, November 3, 2018 at 11 A.M. at the funeral home. Burial will follow at North Star Cemetery, North Star, MI. Online condolences may be made online at www.smithfamilyfuneralhomes.com The Family is being served by Smith Family Funeral Homes, Ithaca, MI.